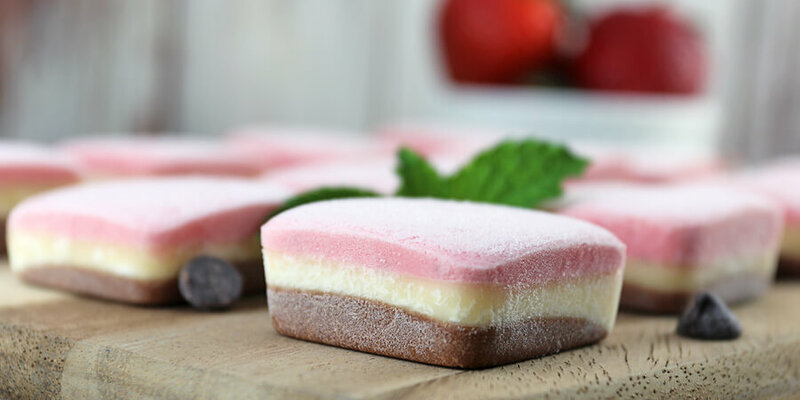 When I was a kid, I loved sitting on my front doorsteps before dinner, especially because it meant my favorite treat – Neapolitan ice cream from the ice cream man! I could hear the truck coming from a mile away and would get so excited. I’d race my brother to the truck and was happiest when he had his little tiny frozen cups filled with the goodness that is chocolate, strawberry, and vanilla. 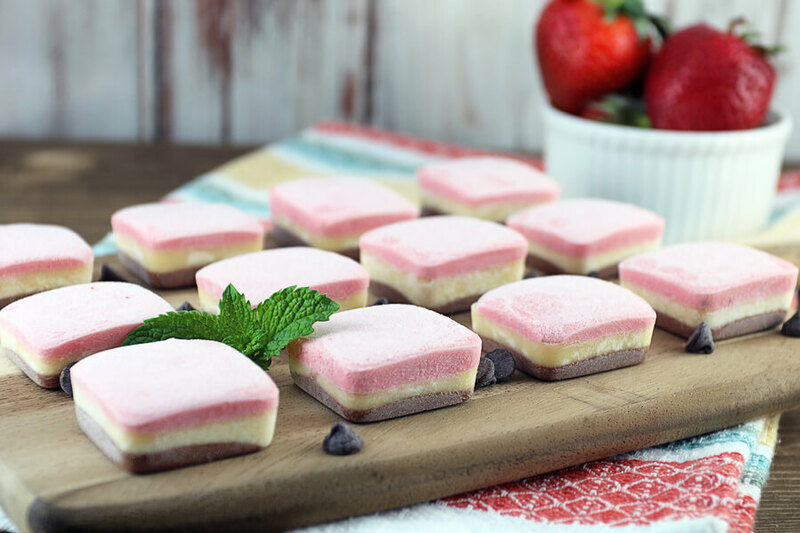 If you’re like me, you love all three flavors, and Neapolitan gives the best of all worlds – you don’t have to choose one! 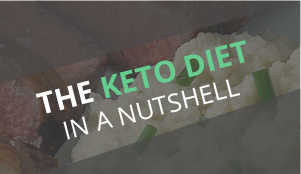 I made this fat bomb to recreate the childhood flavors that I missed, that I can now eat on keto. 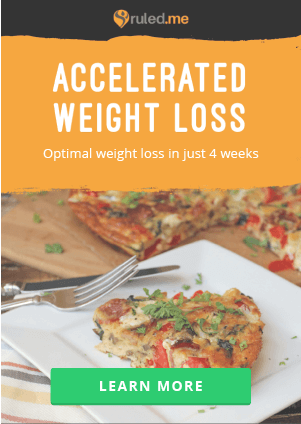 This can feel a bit time consuming to make compared to other fat bombs, but it’s so worth it. 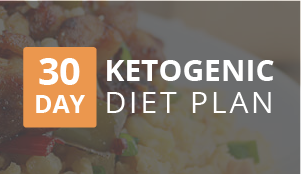 We’ve been popping these into our cooler whenever we go out as a quick and refreshing snack. 1. 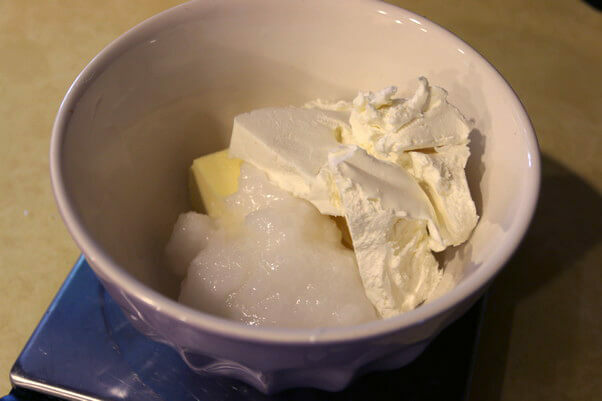 In a bowl, combine butter, coconut oil, sour cream, cream cheese, erythritol, and liquid stevia. 2. 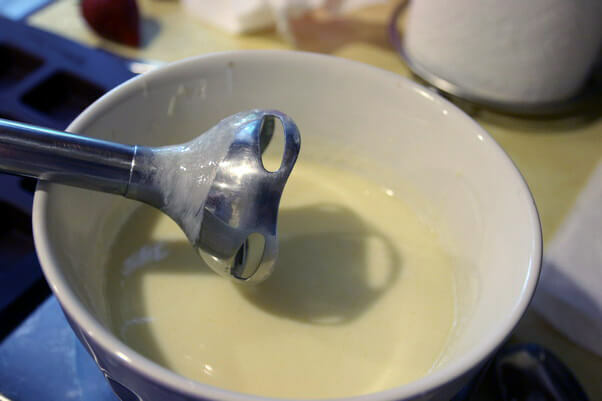 Using an immersion blender, blend together the ingredients into a smooth mixture. 3. Divide the mixture into 3 different bowls. 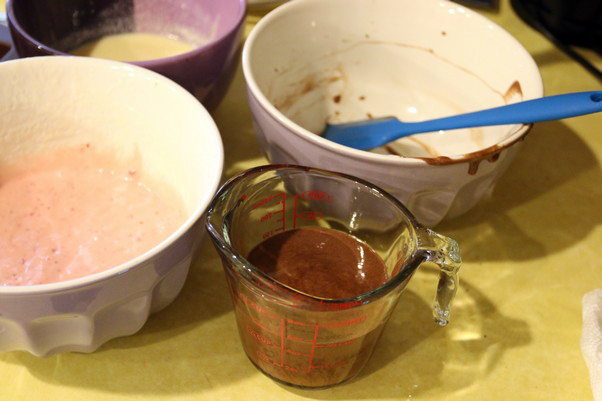 Add cocoa powder to one bowl, strawberries to another bowl, and vanilla to the last bowl. 4. Mix together all of the ingredients again using an immersion blender. Separate the chocolate mixture into a container with a spout. 5. 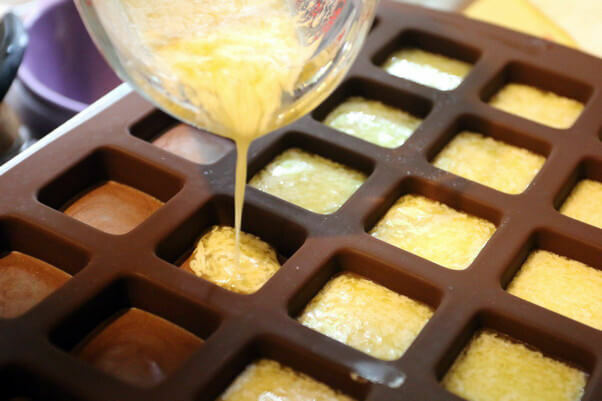 Pour chocolate mixture into fat bomb mold. Place in freezer for 30 minutes, then repeat with the vanilla mixture. 6. Freeze vanilla mixture for 30 minutes, then repeat process with strawberry mixture. Freeze again for at least 1 hour. 7. 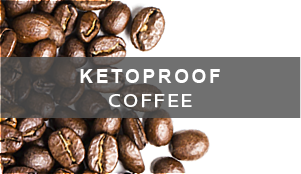 Once they’re completely frozen, remove from the fat bomb molds and enjoy! 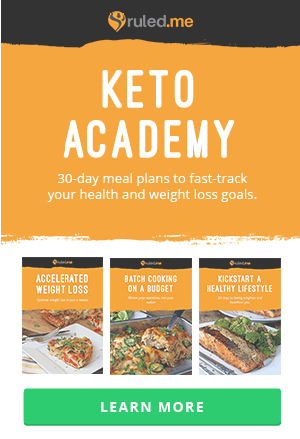 This makes a total of 24 Neapolitan Fat Bombs. 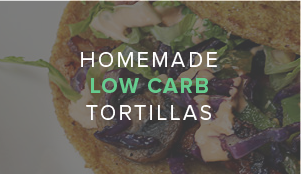 Each fat bomb comes out to be 102.71 Calories, 10.99g Fats, 0.66g Net Carbs, and 0.51g Protein. Combine all ingredients (except for cocoa powder, vanilla and strawberries) in a bowl. 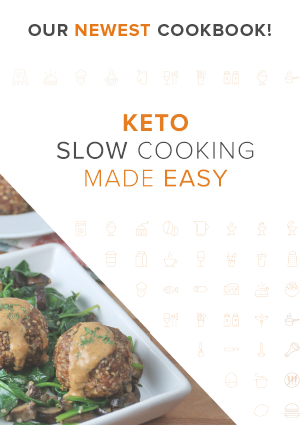 Use an immersion blender to mix it together. Separate the mixture between 3 bowls. 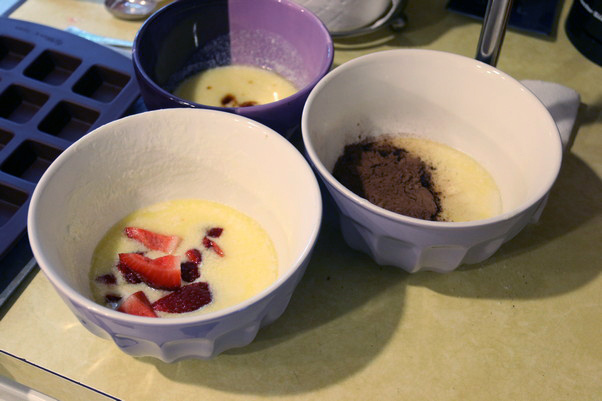 Add cocoa powder to one, vanilla to another, and strawberries to the last. 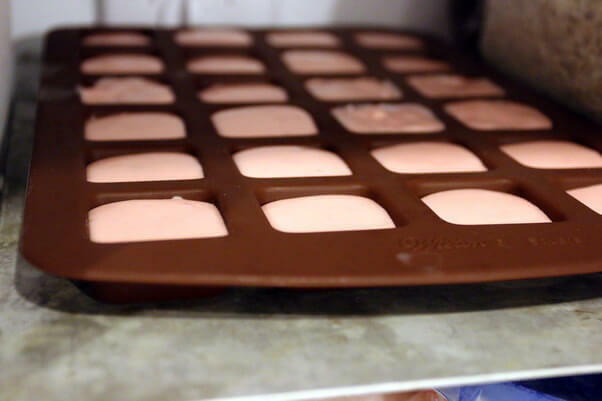 Pour chocolate mixture into fat bomb mold, then freeze for 30 minutes. 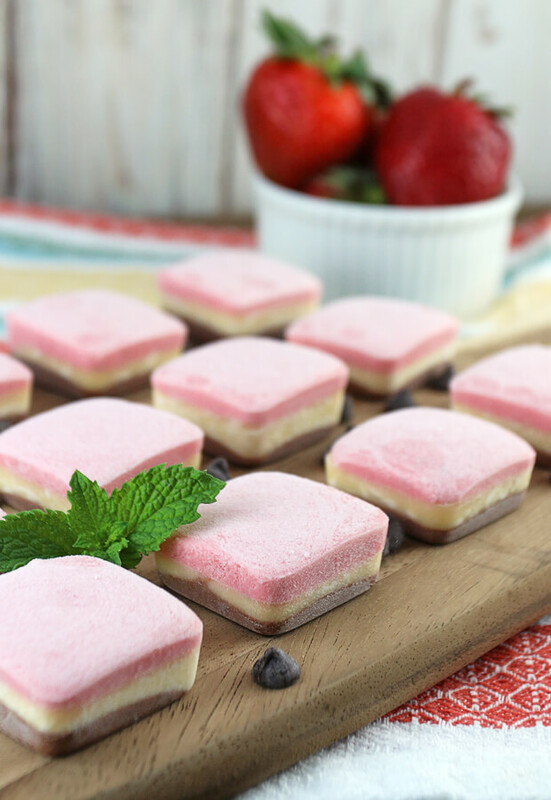 Repeat with vanilla and strawberry layers. Let freeze for at least 1 hour.